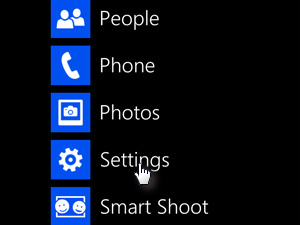 Swipe from right to left to enter the Apps. 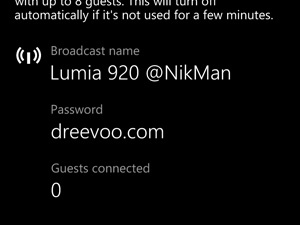 Name of the WiFi network, that other devices will connect to. 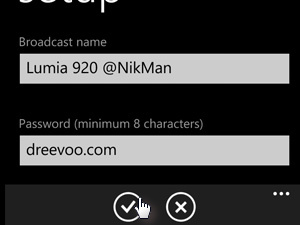 Enter Password for the WiFi network. 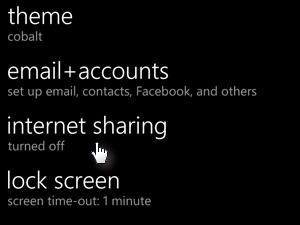 And tap the confirm button. 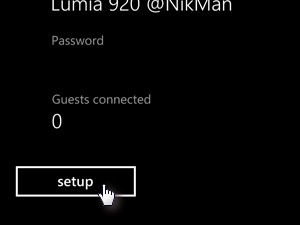 WiFi hotspot is now set and the Lumia 920 is now ready to share the Internet connection. 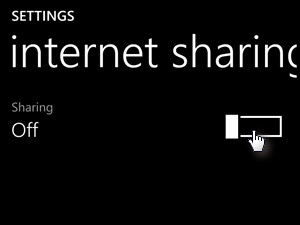 You should now be able to see the wireless network on a laptop or any other Wi-Fi enabled device. All you have to do is connect to it, enter the password you set and you can surf on. Beware that using your phone as a WiFi hotspot to use the Internet is using your mobile data, meaning if you don't have an appropriate mobile data plan it can cost you a lot. 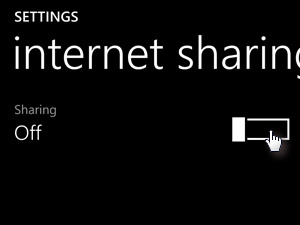 When you don't want to share the Internet on you Lumia 920 anymore simply go to the internet sharing in settings again and disable it. 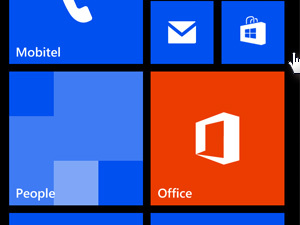 I am really happy that Windows Phone 8 has evolved and in my experience it's much much better that version 7.5.Also it looks and feels better that Android because of it's uniqueness.